MasterCard announced a global partnership with mobile commerce provider P97 to make it easier for consumers to find, buy and save on gasoline and convenience store purchases through their mobile phones. Last year, in the U.S. alone, consumers pumped more than 135 billion gallons of gasoline, according to MasterCard SpendingPulse. As trips to the pump continue to increase, along with competitive pricing strategies, fuel companies and store operators are increasingly looking for ways to differentiate their services and build loyalty among their customers. The MasterCard fuel solution will leverage a wide range of MasterCard’s marketing and technical assets, and will utilize P97’s PetroZone® mobile commerce platform to integrate to existing gas station infrastructure. The new solution will enable fuel companies to develop innovative mobile apps for consumers to search for and navigate to the nearest or preferred gas station, make fast and simple mobile payments at the pump and convenience store, and receive personalized offers for in-store purchases. MasterCard(NYSE: MA), http://www.mastercard.com/, is a technology company in the global payments industry. We operate the world’s fastest payments processing network, connecting consumers, financial institutions, merchants, governments and businesses in more than 210 countries and territories. MasterCard’s products and solutions make everyday commerce activities – such as shopping, traveling, running a business and managing finances – easier, more secure and more efficient for everyone. Follow us on Twitter @MasterCardNews, join the discussion on the Beyond the Transaction Blog and subscribe for the latest news on the Engagement Bureau. What are the benefits of the PetroZone mobile commerce solution? P97’s PetroZone is an innovative mobile app giving consumers a quick and easy way to pay for fuel and in-store purchases with their smartphone. The solution enables c-stores and fuel retailers to drive brand loyalty and preference by providing their customers a better, quicker, more convenient customer experience. Real-time, personalized coupons and offers provides incentivizes for consumers to make in store purchases, including fresh foods, drinks and consumer packaged goods. Is this agreement exclusive to MasterCard payments? As a merchant, what if I have other payment partners or card providers? The MasterCard – P97 agreement will increase your mobile payment options. P97 will continue to market PetroZone and MasterCard’s Fuel solution will leverage P97’s site system integrations. The PetroZone mobile commerce platform supports many payment choices including proprietary cards, branded debit and credit cards, fleet cards, private label ACH and integrations to front-end processors, payment networks, and many different mobile wallet options. What is the value proposition to merchants? P97’s PetroZone platform enables merchants to increase wallet share (consumer spending) through the introduction of personalized digital offers, rewards, push-marketing, and incentives programs. And value proposition for consumers? Consumers have to option to use their smart phone for payments, including their choice of wallet or payment credentials, in order to maximize savings through the use of location based offers, promotions, and reward programs offered by leading innovative retail merchants. While the PetroZone mobile commerce platform supports many different mobile wallets and phone platforms, including those from Apple, Google, Microsoft, and Samsung, companies using the PetroZone solution will also have access to the MasterPass wallet. How does the agreement address mobile transaction fees? P97’s PetroZone mobile commerce platform supports many different transaction types through the major card networks, as well as, alternative payment networks like private label ACH, fleet, and pre-paid platforms. By leveraging MasterCard’s Digital Enablement Service (MDES), the MasterCard – P97 solution will optimize security and provide new economic benefits for merchants and oil companies depending on the specific payment offerings for consumers. What makes the PetroZone mobile commerce solution a breakthrough for secure mobile payments? P97’s PetroZone mobile payment processing application leverages multi-factor authentication built on the Microsoft Azure cloud-computing platform and payment tokens to secure primary cardholder account information. With the combination of MasterCard’s Digital Enablement Services (MDES) platform and P97’s POS and site system integration capabilities, site-level payment authorization will be provide by MDES. MDES, is a platform through which a mobile phone or other connected device receives a unique MasterCard account number, or “token” which includes EMV-based technology to make every transaction more secure. Tokenization eliminates the need to store payment data such as plastic credit card numbers across multiple servers. P97 and MasterCard are working together to add new layers of security in order to further prevent fraud. How is this partnership and new mobile payments solution going to be promoted and sold? 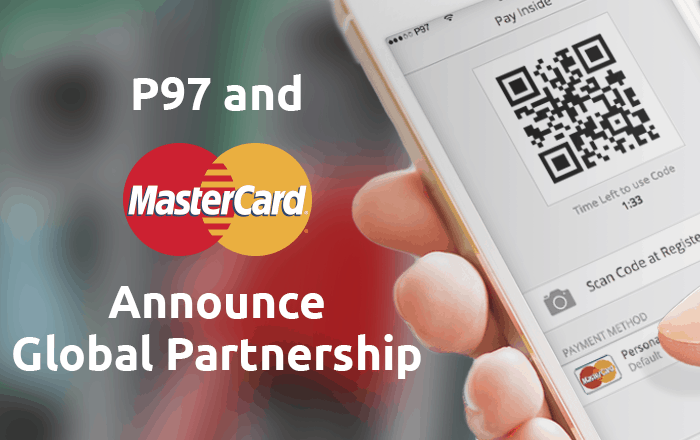 Together, MasterCard, P97, and retail fuel companies will promote this new mobile payment system to merchants and consumers. These efforts will combine business-to-business communications, point-of-sale signage and integrated digital marketing to drive consumer awareness, adoption, and use. What point-of-sale (POS) and electronic payment systems does PetroZone support? P97’s PetroZone works with a wide variety of POS and electronic payment systems from industry leaders such as VeriFone, Wayne, Gilbarco, Fiscal, and Microsoft. PetroZone also supports above-site payment authorization and tokenization to offer the latest and broadest payments capabilities in the market today. Please contact P97 to discuss specific systems and how we can support your company’s integration and scalability requirements.